Asta la vista? No. Its Windows Vista. Windows Vista, or Longhorn, according to its development codename, is an operating system manufactured by the giant computer software maker Microsoft Corporation. It wasn’t until 2005 when the name Vista was adapted for this operating system thus withdrawing the use of Longhorn. The development phase, according to critics, for Windows Vista took longer than anticipated and despite the lengthy period, upon its release, it still performed below expectations. After its completion, it had a limited release to the consumer market in late 2006, and in early 2007 worldwide release ensued. 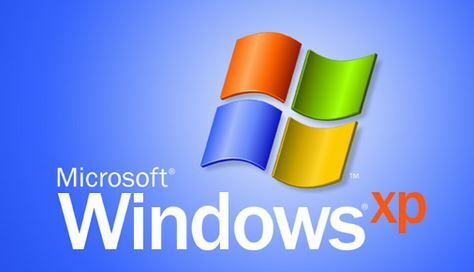 Windows Vista is estimated to have taken more than five years of development before its release, which is an unusually long time – even for Windows. Windows Vista has improved graphics and user interface when compared to its predecessor, Microsoft XP. In addition, the release of this version addressed most security threats such as malware and adware based viruses that were common in XP. Although production of Vista may have been a solution to such threats, Microsoft announced that the move address computer security threats in operating systems was also going to be incorporated in the earlier versions, which included XP and Windows Server 2003 respectively. It’s a fact that Windows Vista may have had a limited, but huge market following after its tremendous entry as solution software. But the hype could not last any longer due to negative press where the system was criticised as requiring too much of the systems running it at the time. According to most users, Vista was incompatible with previously released software and hardware that ran smoothly in XP. Additionally, challenges such as users having less control over their own accounts is said to have been another reason why Vista holds a lower rating when compared to XP despite the fact that it’s a much newer release. Users who continue to use Vista have said that its security levels makes it a perfect choice to use online and by the introduction of its successor, Windows 7, Vista had miraculously surpassed XP’s user base. The last retail copies of Windows Vista were sold in late 2010. With some people saying that the user interface embodied in Vista was intended to be a close match to Mac OS, experts believe that this may not have been the case and that Microsoft wanted something new but with improved visual styles. Some factors that made Vista differ from XP and other previous releases included the ability to install directly from a DVD-ROM. In addition, availability of various visual styles that user can customise according to their desires made Vista stand out in its own way. These visuals include Windows Aero, Windows Vista Standard and Windows Vista Basic accordingly. Windows Standard, which was also incorporated in XP, was made available.